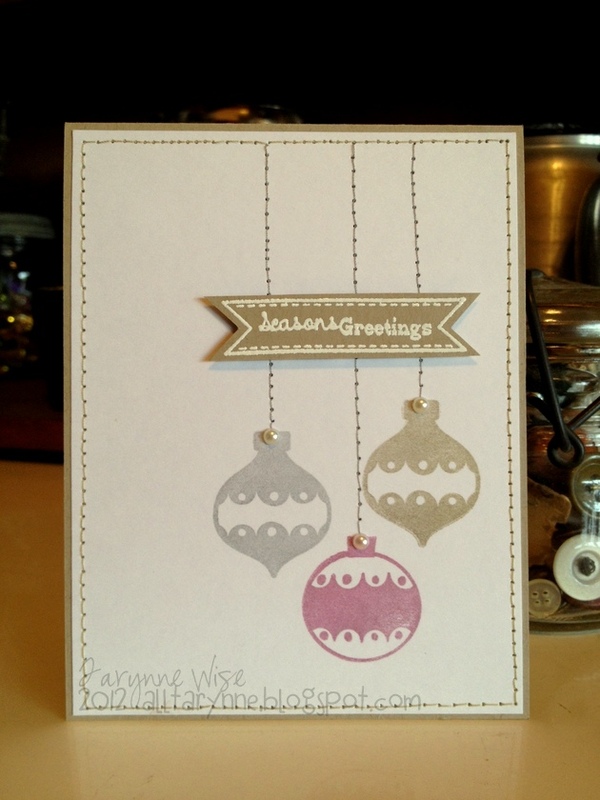 My Wise Designs: Season's Greetings! 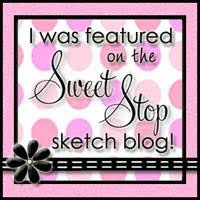 I have more exciting news to share! I am now a staffer at Scrapbook News & Review Magazine!! I know, I can't believe it either.. I am so very excited to see what the future holds! 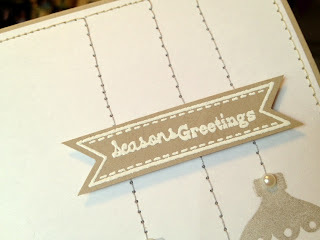 For my card, I used Clean & Simple's Sketch #213. I knew I wanted to make a Christmas card but I challenged myself to use non-traditional colors. I used silver, gold and shimmery purple ink for my colors. I heat embossed the sentiment using American Craft's Zing embossing powder. 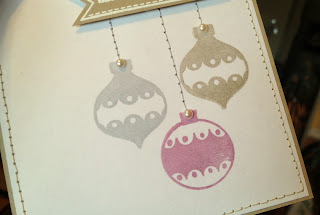 Zing seems to be the best embossing powder I've used, it leaves the image really crisp! The sentiment, along with the ornaments are My Minds Eye's from their 12 Days of Christmas line. 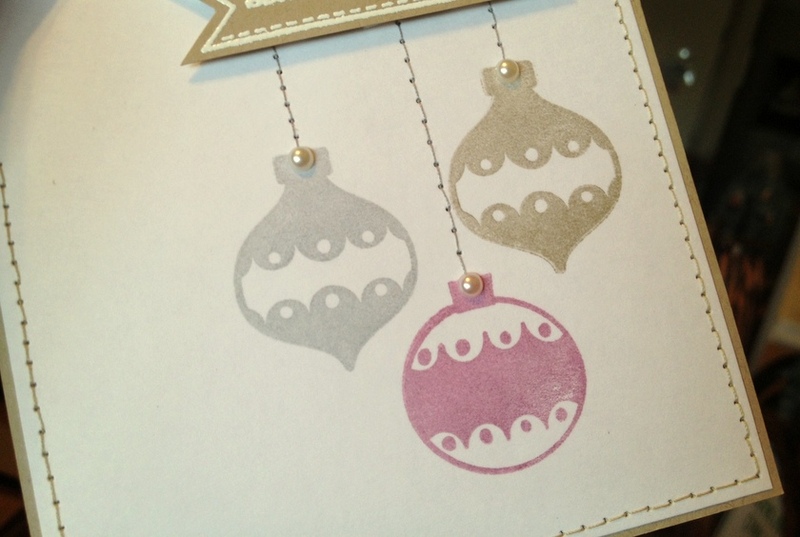 I stitched around the base of the card and for the "string" of the ornaments. I added a Queen & Co. 1/2 pearl at the top of each one to give it some dimension. 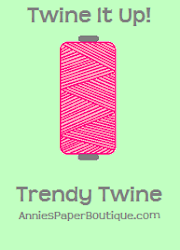 Tarynne that is great news! What will you be doing there?